On 21st March 2012, the European Commission in Brussels adopted a draft proposal of major significance: a regulation on exercising the right to take collective action in the context of the freedom of establishment and the freedom to provide services (the so-called Monti II regulation). This would be the first time in the history of the industrial world that a transnational monitoring mechanism for strike action is to be introduced. In the future all European Union countries are to establish an early warning system for labour disputes and to report strikes to Brussels when they interfere with the freedom to conduct business or with the operation of the single market. There are also provisions for a compulsory arbitration procedure. If the plans are implemented, it would be no longer possible, for example, to strike against wage dumping where cheaper workers from other European Union countries are only paid the wages of their country of origin. It is true that the regulations apply only to cross-border strikes, but how can a labour dispute be exclusively limited to the local level within the European single market? Trade unions are consequently on their highest level of alert. The reactions to it are just as unique as the proposal itself. In the meantime more than the required one third of all European Union member parliaments have decided to file a “subsidiarity complaint”, in which they criticize the European Union legislator for illegally intervening in national affairs. This is the first time in the history of the European Union that such a complaint has been filed. These events show how highly controversial and historically important the subject is. The current debate originated as a consequence of two rulings of the European Court of Justice in Luxembourg (photo) in December 2007 (see report in EWC News 4/2007). In the case of Viking Line, the Finnish ferry company, the judges ruled the right to strike under the principle of proportionality. In the case of the Latvian company, Laval, they even prohibited the Swedish building trade union from taking industrial action. A trade union may not use strike action to force foreign companies to pay foreign workers on Swedish soil according to Swedish industry-wide collective agreements. There is a contradictory ruling of the European Court of Justice for human rights from April 2009. In this procedure against Turkey the right to strike is defined as an integral part of the European convention on human rights (see report in EWC News 2/2009). Is Turkey now to have stricter criteria than those within the EU? These rulings of the European Court of Justice have come under heavy criticism. According to Professor Keith Ewing a labour lawyer from London, they throw the right to strike in the European Union back to where it stood in the United Kingdom more than 100 years ago. The proposed legislation would permanently freeze this situation. In Germany it would be a violation to the freedom of association and thus to the constitution. In Latin countries, e.g. in France, the right to strike is guaranteed as an individual human right by the constitution. Since June 2011, and provided they are subject to the new legislation, European works councils, as well as all special negotiation bodies, have a legal right to training. Previously this only applied to approximately 60% of all European works councils, which had explicitly made such provisions in their agreements. In practice however, according to empirical analysis from the year 2008 (see report in EWC News 3/2008), 79% of all councils had participated in an in-house training within the previous year and/or individual EWC members had been sent to external training courses. The average course length amounted to 1.6 days per year per head. Annual costs varied from 1,300 to 150,000 € and companies invested, at that time, an average of 43,800 € per year in the training of their EWC members (photo: one of our in-house training seminars in September 2011 in Rome. A whole set of questions now arise for the EWC on how the legal right is to be used in practice. According to article 10.4 of the new EWC Directive, employee representatives have a right to training “in so far as this is necessary for the exercise of their representative duties in an international environment, … without loss of wages”. Question 1: Which training courses are necessary in an international environment? In the first place all training courses which enable an understanding of the international company structure and strategy as well as the legal basis for the operation of the EWC. Basic financial knowledge is necessary in order to make well founded suggestions to the employer in the context of consultation procedures. So that EWC members can master the practical challenges of their mandate, they must be familiar with the different systems of industrial relations, practice intercultural communication and strengthen their knowledge of foreign languages. Question 2: Who bears the cost for training? Due to its overall responsibility, central management has to bear all costs for the establishment and day-to-day operation of the EWC, but may however delegate this to a national level. Such costs are in no way to be transferred to EWC members, trade unions or the European Union. Training takes place without loss of wages and during working hours. Question 3: Is the legal right limited to in-house training only? No. The legal right applies to the European works council as a whole, to the steering committee as well as to each individual EWC member. Training courses are often organized before or after a normal EWC meeting, in order to save on travel expenses. There are however also training courses which are planned on different dates than the meetings. Furthermore each EWC member has the right to participate as an individual to external seminars or conferences such as those offered by the EWC Academy (photo of the seminar in Montabaur in April 2012). Question 4: Can central management refuse training requests? Question 5: Who decides on the selection of the training provider? There are no provisions in the law which specify that the employer may organize the training himself. Furthermore, EWC members do not have to accept the employer’s suggestions and may select their own training organization. In January 2011 the European Commission released an expert report on the individual chapters of the new EWC Directive. It was compiled by a team of experts including amongst others, representatives close to both trade unions and employers. The report is therefore of considerable importance as a reference in cases of legal uncertainty. A chapter in the report is devoted to the legal right to training. Attention : the provisions for training does not apply automatically! Old agreements, which were first concluded up to September 1996, or those modified between June 2009 and June 2011, are excluded from the new legal situation. If they do not contain provisions for training, a renegotiation of the EWC agreement is urgently required. The Mayr-Melnhof folding carton manufacturing plant near Liverpool with 161 employees was closed on the 18th February 2012. Whereas management in the home country Austria respects justice and law, this is not the case in the United Kingdom. According to the trade union Unite, the plant was closed illegally. The dispute started after negotiations over the loss of 37 of the 161 jobs. When no viable solution could be found, the trade union Unite organized a strike ballot. Since the Thatcher years this has become absolutely necessary, otherwise a strike would be illegal. Several days of strike took place starting 10th February 2012. The employer then proceeded to permanently lock out the entire workforce on 18th February 2012 and sent out dismissal letters to everybody on 29th March 2012. The consultation procedure prescribed by the EU legislation for mass redundancies did not take place nor was the European works council involved. In response to these tough measures taken by management, an internationally coordinated media campaign was organized and a complaint filed with the OECD. The Ver.di trade union tried to prevent strike black-legging in the German plants of the company. Trade unions from several countries held protest demonstrations in front of the company shareholder’s meeting on 25th April 2012 in the Vienna Grand Hotel. There were subsequently constructive discussions which were concluded on 29th May 2012 by a compensation plan. For the non-respected 90 day consultation procedure wages have now been paid and the initial severance conditions substantially increased. The next plant to be threatened by closure could be Budaörs in Hungary. Unilever, the British-Dutch consumer goods group, announced the closure of its washing powder plant in Aranjuez on 22nd March 2012. All 166 employees are to be dismissed, and the production relocated to the United Kingdom. 5,000 people had already demonstrated on 25th March 2012 in this small tourist town south of Madrid (photo). On 2nd April 2012 the European works council was informed by Unilever in Rotterdam about the plans. It has requested additional figures with a view to analyzing the factory’s competitivity, and to examine alternatives to the closure. On 12th April 2012 a EWC delegation visited the plant. Although the Aranjuez works council presented a detailed plan for continuing production at the plant during a EWC meeting held on 26th April 2012 in Hamburg, central management is going ahead with its plans. On 6th June 2012 it initiated the procedure for mass redundancies prescribed in Spain. This example reminds us of the events in Visteon, the US automobile supplier in autumn 2011 (see report in EWC News 3/2011). The Unilever EWC members were however unable to convince themselves into taking legal steps. Unilever’s closure plans came also under discussion in the Spanish parliament. The opposition claims that the latest labour legislation reform is an invitation for foreign investors to cut-back more jobs in Spain than in other countries. With over 24% unemployed, Spain has the highest rate of all European Union countries (4.7 million people). The governing conservative majority, in power since December 2011, wants to counter the financial market crisis by imposing the strongest restrictions in labour legislation since the end of the Franco dictatorship. Trade unions protested during week long demonstrations and a general strike on 29th March 2012 against an emergency royal decree which came into force on 12th February 2012. On 16th April 2012 they requested the intervention of the International Labour Organization (ILO), since the government would have violated both the Spanish constitution and ILO standards. The Serono employees are encouraged by the success of their colleagues from Novartis. On 17th January 2012 the Swiss pharmaceutical group abandoned its plans to close the nearby Nyon site after protest demonstrations. The Swiss white-collar union "Angestellte" filed a complaint on 8th May 2012 with the Vaud district labour court. Serono has no employee representatives in Geneva. The court has now to examine whether the obligations arising from employee participation legislation have been fulfilled and whether the consultation procedure conforms to legal standards. The complaint should cause a prolongation of the consultation procedure. Although a 15 member speaker committee was spontaneously selected during a general assembly of employees held on 4th May 2012, this does not however meet with the legal requirements. Legal disputes on British "works councils"
There have been regulations on plant level information and consultation committees since 2005 in the United Kingdom - a sort of “works council light”. Such bodies are however somewhat foreign to British tradition; the trade unions claim to have a monopoly on the collective representation of employee interests and employers are not really interested in involving employees. The committees were only introduced because a European Union Directive had made mandatory provisions for them. Although the attitude of trade unions and employers to these committees is gradually changing, their development in British business is still relatively limited. An overview of legal proceedings in this matter was published on 21st March 2012. From a total of 40 cases, seven companies had actively obstructed the election of an information and consultation committee, leading to fines in three cases. The most well-known example is Holtzbrinck, the German publishing group, whose publications include amongst others, the “Handelsblatt” and “Die Zeit”. Their British subsidiary, Macmillan had refused for many years such a committee for their employees in Swansea (see report in EWC News 2/2007). Elections took place for all works councils and for hygiene and safety committees in Belgium from 7th to 20th May 2012. As in Germany this is carried out every four years during a fixed period, to which all companies are bound. The initial results follow a trend which is typical for Belgium: the individual trade unions of the Christian confederation, CSC, obtained more than 50% of the votes and the majority of the 45,000 works council mandates. A French employer has to treat all trade unions equally, even if they disseminate critical comments in the Intranet. The closure of SUD’s trade union Intranet site by the car manufacturer Renault has been declared illegal. The company was condemned on 23rd May 2012 by the highest appeal court (Cour de cassation) in Paris to pay compensation amounting to 20,000 € to SUD’s trade union group in the company. Whereas in France local works councils and trade union groups of all types openly criticize their employer’s policies in the Intranet or on the Internet, this would be considered as breaking a taboo in Anglo-Saxon countries. The rules of "confidentiality" are stricter in no other European country than in the United Kingdom, including the regulations for European works councils. 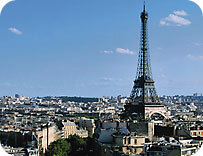 The third French-German works council conference is being held from 17th to 19th September 2012 in Paris. For the first time it is also open to participants from other countries since there will be English interpretation as well as French and German. The founding congress of the European Industrial Federation (IndustriAll) took place on 16th May 2012 in Brussels. It is the successor of three federations, which have already been politically cooperating closely together in recent years: the European Metalworkers’ Federation (EMF), the European Mine, Chemical and Energy Workers' Federation (EMCEF) and the European Trade Union Federation for Textiles, Clothing and Leather (ETUF:TCL). IndustriAll represents 7 million employees and has 197 affiliated trade unions not only within, but also beyond the European Union countries. 550 delegates participated in the congress. Following the foundation of the European Industrial Federation, the same step was taken on a global level on 19th June 2012 in Copenhagen. Falling under the newly merged organization are the International Metalworkers’ Federation (IMF), the International Federation of Chemical, Energy, Mine and General Worker’ Unions (ICEM) and the International Textiles, Garment and Leather Workers’ Federation (ITGLWF). It represents 50 millions employees in 140 countries. About 1,000 delegates participated in the founding congress. The global trade union federations promote the compliance of multinational companies to social minimum standards through international framework agreements. On 14th May 2012, the European Metalworkers’ Federation (EMF) announced that it had not received a mandate for starting negotiations with the central management of Alstom, the French mechanical engineering group on the social consequences of the planned outsourcing of its IT division. The initiative did not fail because of the employer, but because of Italian trade unions. They completely rejected the plans and did not wish to authorize the EMF to negotiate. As a consequence negotiations must now be held in each individual country. Alstom is considered as a positive example for transnational agreements. A transnational agreement on job security was concluded only in January 2012 for a joint venture (see report in EWC News 1/2012). Problem: who is to negotiate? Without a mandate from their affiliated unions the European federations are not in the position to take on such negotiations. The only remaining option therefore is to proceed by a majority decision of the European works council and for the EWC to carry out itself the negotiations (which in fact extends the role of the EWC in the direction of co-determination). This question represents however a major problem for European labour relations. Whereas German works councils gladly welcome a stronger EWC, representatives from the Mediterranean countries rather fear that this will lead to a weakening of the trade unions. In the case of Alstom this question has now led to a blockage, in the same way as Sanofi-Aventis, the French pharmaceutical group previously (see report in EWC News 3/2010). An agreement on equal pay treatment for men and women as well as on a better reconciliation of private and professional lives was signed on 5th June 2012 in Paris between the central management of GdFSuez, the French energy group and the three appropriate European trade union federations. A key element of the agreement is the obligation to provide at each site within the European single market with more than 150 employees, an annual equal treatment plan. Indicators for the measurement of equal treatment are also provided. For the new election of the European works council in 2013, trade unions have committed themselves to take into account the number of women according to their number within the company. Negotiations on a pan-European agreement concerning idea management in health protection were completed at ThyssenKrupp Elevators a few days ago. The elevator and escalator division of ThyssenKrupp, the German steel and technology group, has a world-wide workforce of more than 46,000. The date for official signing of the agreement is planned for November 2012. The agreement provides for the establishment of monitoring committees in all European sites. These are made up of an equal number of employee and employer representatives and they report to central committees in their respective country. A steering committee, established on an international level, meets once per year with the European works council. The agreement regulates the reporting system between these committees and the employer and defines responsibilities on the different company levels. The committee members have a time-off work allowance and a right to training. The legal default phase of the EWC has finished since 21st March 2012. On the same day a EWC agreement was signed in Berlin for one of the largest European transport companies. The European works council of Deutsche Bahn was created in 2005 on the basis of the German EWC legislation’s subsidiary requirements. At that time this was done without the usual procedure which includes a special negotiation body (SNB). It was following the takeover of Arriva, the British transport company in August 2010 (see report in EWC News 1/2011), that negotiations for a fully-fledged EWC agreement were first started. In the future the 40,000 employees of Arriva will be represented by the Deutsche Bahn EWC and the Arriva EWC dissolved. Noteworthy features of the agreement are the three divisional committees (Arriva/Local Transport, Schenker Rail, Schenker Logistics) and the extensive definition of transnational matters. As a result, the EWC is to be informed even when only one country is affected by a decision taken by central management. It now has 31 members from twenty countries, there are 60 members in the future. The world’s largest manufacturer of plastic piping systems, based in Brussels, updated its EWC agreement on 24th April 2012. The European works council was established in 2003, following its spin-off from Etex, the building materials group. Aliaxis has predominantly grown through acquisitions and today has most employees in Germany, France and in the UK. The employer acts as chairman, which is somewhat unusual for a Belgian EWC and is not at all foreseen in the kingdom’s legislation (see report in EWC News 1/2011). A secretary and three further members are elected by the employee representatives to form the steering committee. It meets at least three times annually, whereas plenary sessions are held only once per year. All EWC members have a right to two days training per year. An updated EWC agreement was signed for Vorwerk on 15th May 2012 in Wuppertal. This family business has a world-wide workforce of 22,000 employed in the direct sale of electrical and household products. Although, in the future, plenary sessions continue to take place only once annually, there have been substantial improvements compared to the original agreement concluded in July 1996. For instance, the most important provisions of the new Directive have been incorporated. The EWC, which is also responsible for Switzerland and Russia, selects a steering committee of six representatives and is from now on a pure employee body. The EWC Academy acted as adviser to the works council. A new separate EWC is now to be established for the Hectas building services company which was spun-off from the Vorwerk group in September 2011. We have arranged a selection of EWC agreements for download on a special website. This magic threshold was first reached in April 2012 but in the meantime there are already 1,007 European works councils registered in the data base of the European Trade Union Institute (ETUI). They are spread over 937 companies, since some companies have several councils. There are currently negotiations underway in 56 companies for the establishment of a EWC. The number of SE works councils is also on the rise with a total of 80 in April 2012. Employee representatives are members of the SE-supervisory board in 40 of them and in the remaining 40 there is only a SE works council without participation in the supervisory board. Constellium, the aluminum producer based in Paris has its own EWC established since January 2012. The company was created one year before in January 2011, following the sale of this division by Rio Tinto, the British-Australian raw materials company, to two financial investors. The most important manufacturing plants are in France (Neuf-Brisach on the Rhine), Germany (Singen) and in Switzerland (Sierre). The financial investors were criticized (photo) in May 2011 following an announced cutback in the workforce. The EWC agreement is cast on similar lines to the old regulations for Rio Tinto, but the working means of the EWC have nevertheless been reduced. As a consequence only one plenary session takes place per year. Previously every two years there were four days training provided and now only two. 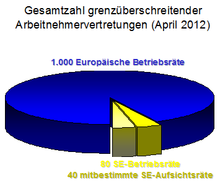 The time-off work allowance was also halved: the EWC secretary now has only 200 hours per year (previously 400). Around 9,000 employees are represented by the 13 EWC members (six from France, three from Germany and two from Switzerland). The sale of the division had already been under discussion since 2008 (see report in EWC News 1/2008). An SE agreement was signed in Weinheim on 12th March 2012 for the Freudenberg group of companies. It covers the European internal market countries as well as Switzerland. The aim of the SE conversion is to group together international participation within the conglomerate and not to freeze employee participation. All supervisory boards remain unchanged. After about one year transition period the European works council established in 1996 is to be replaced by a body, that combines the functions of an EWC and an SE works council. The SE works council meets once annually and elects a steering committee of four members from different countries and divisions. The EWC’s health and safety activities which has been in place for some years (see interview with the EWC chairman) continues to exist in the SE. A right of access to all European sites has been explicitly granted in the agreement. For countries which are only represented by one delegate and cannot adequately participate in the SE works council, there are two provisions for facilitating a smooth flow of information: on the one hand the steering committee can designate local “site-representatives”, on the other hand preliminary discussions are possible between different sites and/or divisions within a country. In one aspect, the SE agreement goes far beyond all the various formulations from other companies. Central management does not implement any measures before the information and consultation procedures have been completely finalized, both on European and local levels. Up to this point there is a partial ban on any further implementation. Although this should automatically be the case under current legislation, the German courts have just ruled the opposite in the case of Visteon, the automobile supplier (see report in EWC News 3/2011). Another remarkable point with Freudenberg is the arbitration board, which is inspired by the German Works Constitution Act and which clearly surpasses regulations in other SE agreements. A “Joint Declaration on Human Rights and Working Conditions” was signed on 6th March 2012 by MAN’s central management in Munich, together with the SE works council and the International Metalworkers’ Federation (IMF) covering over 50,000 employees of the mechanical engineering group throughout the world. Amongst other things it includes a guarantee for the recognition of employee representation - also in countries where this is not safeguarded. MAN also concluded one of the best SE agreements yet in existence in February 2009, and has the largest parity-based SE supervisory board in the whole of Europe (see report in EWC News 1/2009). IKEA’s trade unions are not yet quite as far advanced. From 6th to 8th March 2012, representatives from 14 countries - including also members from the European works council - met for the first time in Istanbul with a view to forging a world-wide alliance. Although central management of the Swedish furniture manufacturer was open to discussions there, they could still not be convinced into an agreement on minimum social standards. As recently as summer 2011 a battle was won against management for the recognition of a US employee representation (see report in EWC News 2/2011). An international framework agreement which was negotiated by the US trade union, United Auto Workers (UAW), was signed on 25th April 2012 in Detroit, between Ford and the International Metalworkers’ Federation (IMF). It is the first agreement of its kind for a non-European car manufacturer. Central management will inform employee representatives from the whole world once annually on company strategy and plans. Since November 2011, the service sector trade union of the UIL, the smallest of the three Italian trade union confederations, has published its own website for IT industry specialists. Individually tailored advice is offered on matters concerning work and social rights as well as job-specific on-line training. A real-time job posting service is also available. The web site is available only in Italian. Italy was the starting point of the first virtual strike in the history of Internet in September 2007. At the time Italian employees of IBM, the IT group, protested against wage cuts on the platform "Second Life" (see report in EWC News 3/2007). The metal for the production of the Olympic Games’ medals is supplied by Rio Tinto. The trade unions are calling to kick the British-Australian mining and raw materials group off the “winners’ podium” because of the brutal treatment of its own employees. It does not adhere to the olympic values of fair play and sustainability. On a Canadian site there has been a lock out of 780 employees since January 2012, which has already put the European works council on alert (see report in EWC News 1/2012). A European Union-sponsored project initiated by the Hungarian energy trade union, EVDSZ, took place during 2011 and was aimed at studying and strengthening EWC working practice in the most important European energy groups. The German companies, RWE and E.ON were involved as well as Électricité de France (EdF). All documents are now available on a dedicated web site. The European Agency for Safety and Health at Work (EU-OSHA) has provided a web site for its “Working together for risk prevention” campaign which was started in April 2012. Legislation and tools in 24 languages are available on the site. Employee representatives can download guidelines and check lists. We have arranged numerous other interesting websites into a collection of links. 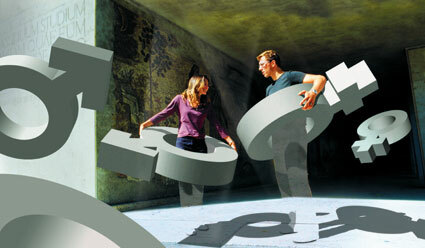 The European Trade Union Institute (ETUI) in Brussels published this handbook in February 2012. It addresses itself in particular to members of European works councils and makes suggestions on how to make European meetings more useful and efficient with a view to obtaining better results. The 12 page brochure is available in eight languages and is the first of a new set of small, illustrated and practical handbooks for employee representatives with transnational responsibilities. Works councils and trade unions: Partners or competitors? The Friedrich Ebert Foundation published a brochure under this somewhat provocative title in March 2012 and which presents an up-to-date inventory of employee representation structures in 32 European countries. Besides the European Union countries all the former Yugoslavia countries are also covered. Trade unions in Central and Eastern Europe were not familiar with works councils before 1989 and regarded them therefore as competition, similarly to trade unions in the predominantly Anglo-Saxon countries. This explains why the introduction of local works councils, following the prescriptions of a European Union Directive from the year 2002, was highly disputed and still remains controversial in some countries. In April 2012, the European Trade Union Institute (ETUI) published a review of restrictions to employee rights and to the bargaining autonomy in the individual European Union countries. Under the pretext of the financial market and euro crisis measures are often implemented without respect for democratic traditions and for the principles of social dialogue. The decline of labour legislation is particularly noticeable for employees in the EU countries, Greece, Portugal and Spain, as well as in Romania, Hungary and Slovakia. We have arranged further technical literature on a literature web site. The eight member EWC steering committee of the French Veolia group met on 21st and 22nd March 2012 in Paris. With support of the EWC Academy they analyzed labour legislations of selected countries and the characteristics of a correct consultation procedure. Veolia consists of four divisions (water, disposal, energy and transport), which are reflected also in the EWC structure. The EWC, initially established in 2005, adapted its agreement in October 2010 to the new Directive (see report in EWC News 1/2011). For the third time already, a seminar was again held in Montabaur castle (photo) from 10th to 13th April 2012 under this theme and which highlighted the new legal situation of information and consultation in relation to restructuring. How can the EWC or SE works council concretely put into practice the consultation procedure and prepare a legally water-tight opinion? A EWC initiation day took place for beginners in parallel. The European works council of Atos, the French IT company, was informed in an extraordinary meeting, held on 23rd and 24th May 2012, about its planned transformation into a European Company (SE). The EWC Academy was present to give the necessary expert assistance. 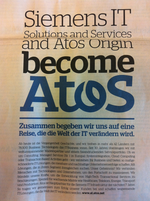 Atos took over the IT-services division of Siemens in July 2011 with 31,000 employees and as a result has grown to become the second largest IT service provider in Europe after IBM, with 74,000 employees world-wide. The SE transformation was decided in the shareholders’ meeting on 30th May 2012, and the special negotiation committee (SNB) will shortly be set up. The Atos EWC was established only in 2007 after difficult negotiations and just before expiration of the legal three year period (see report in EWC News 2/2007). The SE works council of Lenze met at its headquarters in Aerzen, Lower Saxony (photo) on 30th and 31st May 2012. In one of the training modules designed by the EWC Academy, the differences between the rights of a SE works council and a normal European works council were examined. The enforcement of these rights and the margin for negotiations beyond information and consultation were also covered in the discussions. The EWC Academy will immediately take over the counseling of the SE works council on economic issues. The mechanical engineering company made the transformation into a SE in the summer of 2009, in order to avoid a parity-based supervisory board (see report in EWC News 4/2009). The new agency, IR Share, has published on the Internet an on-line database with documents in several languages concerning European Union social policies, national and European industrial relations and works council activities. Events such as the French-German conference in September 2012 in Paris (see below) will also be organized in cooperation with the EWC Academy. The EWC Academy and its forerunner organization has been delivering conferences and training seminars for the members of European works councils, SE works councils and Special negotiation bodies since January 2009. So far 372 employee representatives from 165 companies have taken part (representing about 17% of all companies in Europe with an established EWC). For autumn 2012 a new brochure is available giving an overview of the planned events. Further events and topics are in preparation. For the third time already a French-German conference is being organized from 17th to 19th September 2012 in Paris. This year the special highlight is the attendance to a trade fair for French works councils. Why a conference in Paris? The philosophy behind information and consultation in the EU Directive on European works councils as well as in employee participation in the European Company (SE) is closely tailored around French industrial relations. An exact knowledge of the subtleties of the French model is therefore indispensable. Participation to the conference is possible according to Article 10 (4) of the EWC Directive and it will be simultaneously interpreted (including English). A conference will be held in the capital of South Tyrol on 27th and 28th September 2012 for EWC members from Germany, Austria and Italy. It will focus on the comparison of the employee representation systems and on an exchange of working practices in European works councils. The conference will be simultaneously interpreted. A seminar will take place from 8th to 10th October 2012 in Rheinfels castle (photo) which examines the new legislation in the context of a renegotiation of EWC agreements. Also the legally defined procedure for mergers, spin-offs, delocalization of company headquarters ("changes in structure") will be covered. A workshop will be held in parallel on Eastern Europe. For the second time already a conference is being held on 25th and 26th October 2012 in London. The meeting will be simultaneously interpreted. It is aimed at members of European works councils which fall under British legislation, as well as at employee representatives from Germany and other countries wishing to familiarize themselves with the British system. This conference taking place in Hamburg, apart from examining women’s participation in supervisory boards will also study possible courses of action for works councils to prevent discrimination and to promote the reconciliation of professional and family lives. The program on 15th and 16th November 2012 includes lectures from female academics as well as practical examples of EWC and national works councils’ experience in equal treatment. A seminar is taking place in Hamburg, from 19th to 23rd November 2012, which will not only interest EWC members, but also members of national works councils, representatives in supervisory boards as well as works council assistants in international companies. The speakers are the lady journalist, Michaela Böhm, as well as Klaus Franz, who has been the EWC chairman of General Motors for many years (see photo).